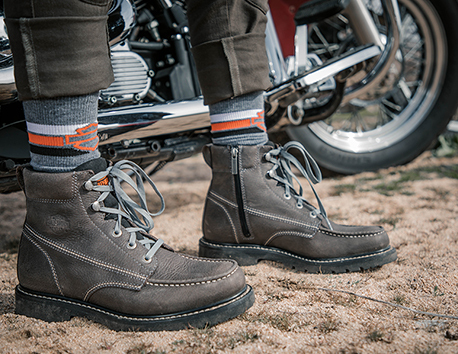 This collection of casual sneakers, sandals and boots are dripping in classic Harley-Davidson styles. Being comfortable off the bike never looked so good. Crafted for the ultimate casual chill session, these shoes will change your expectations for casual footwear.